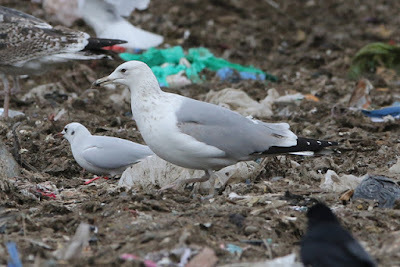 Only the second visit to the tip this winter, and last weekend's visit was memorable for the wrong reasons - no Casps alongside a cold that wiped me out for the rest of the weekend. 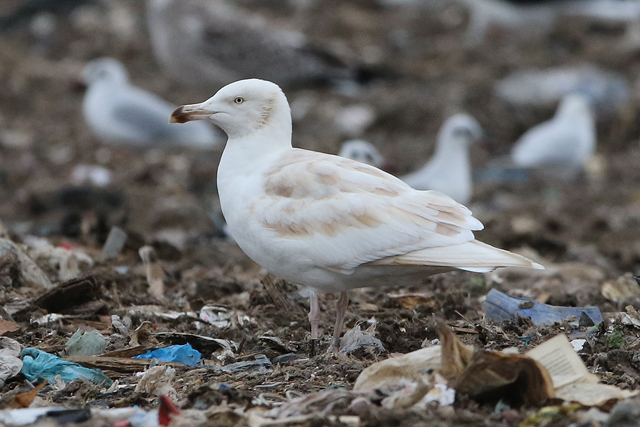 And so it was thankfully back to normal today, and with a few more gulls too, there was a return to form. 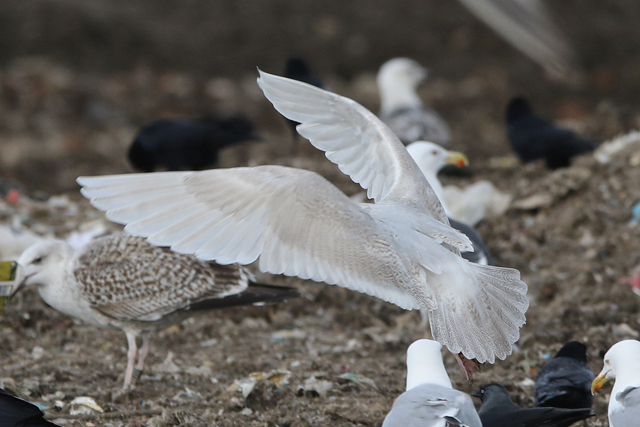 Three Caspian Gulls in total - a smart first-winter that lingered around for most of the morning, a large adult and then a rather aggressive third-winter bird. 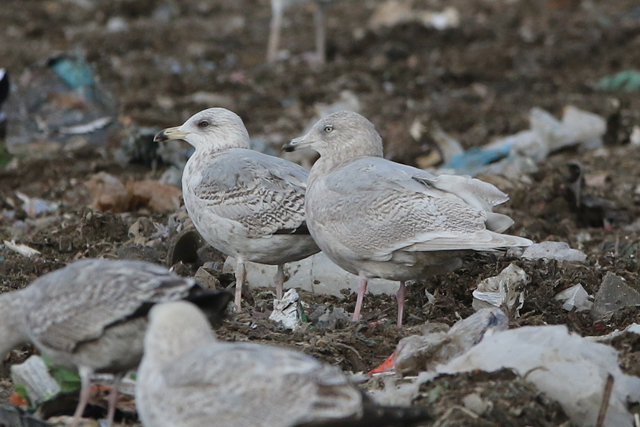 All of them very nice indeed. 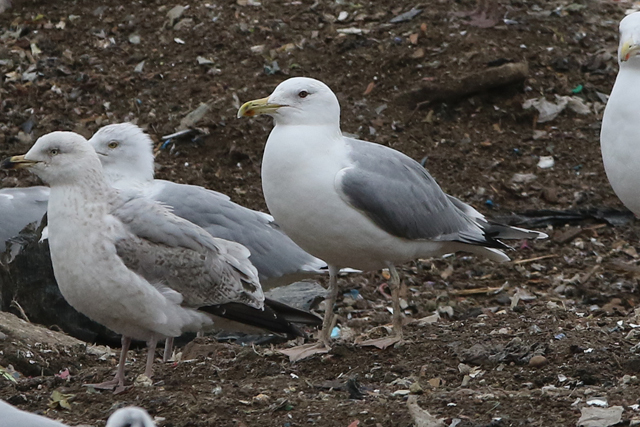 And then it was on to a couple of familiar faces that had advanced a bit since I saw them last winter. 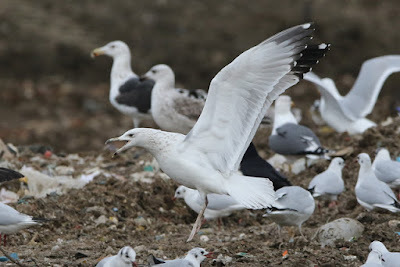 The first one was a bird I'd first seen back in December 2013, and is one of the most distinctive gulls about - J5493, a Norwegian ringed Great Black-backed Gull that was ringed in southwest Norway as a chick in June 2013; and has been leucistic as a first-winter, second-winter and now third-winter. 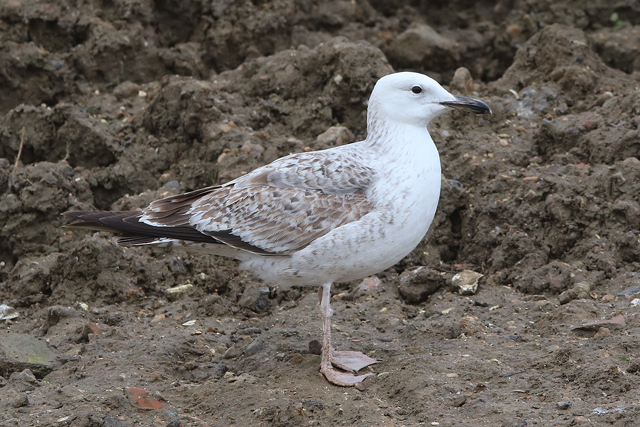 The next one is a lot less straightforward, and present again after a stint last winter. See here for discussion from last February when it was a second-winter. My thoughts still remain pretty similar - do Iceland and Herring Gulls really not hybridise? 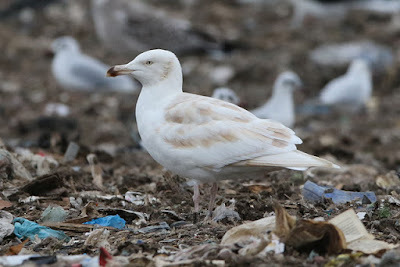 The only thing to really add to last year's thoughts are the obviously pale mantle compared to the accompanying Herring Gulls. Finally, among the 20 gull rings I managed to get, was this one AB9T. 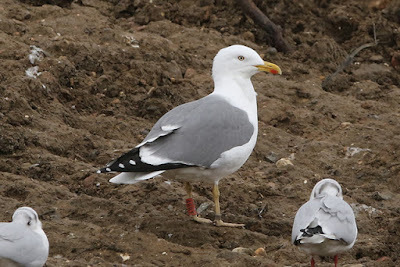 An obvious adult Yellow-legged Gull ringed by the NTGG. However, it was ringed by one of their minions as an adult Lesser Black-backed Gull back in 2012. 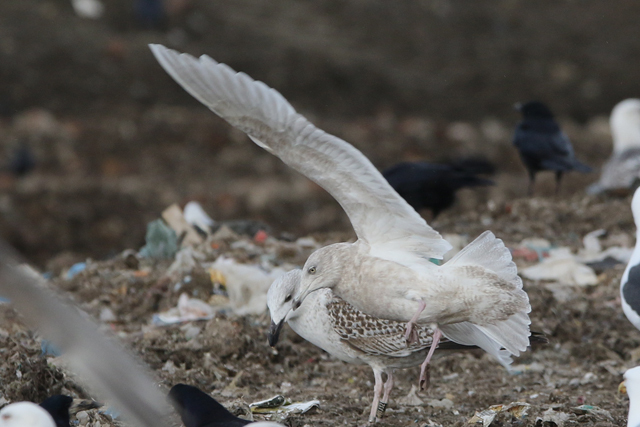 What people don't realise is how fraught a big catch can be, and Paul R who heads the ringing team often doesn't see every bird to check they've been identified correctly. Add to this there is often people ringing the gulls that'd struggle to identify anything beyond 'small' and 'large' gulls, so inevitably there have been a few birds like this that have, metaphorically speaking, slipped through the net.